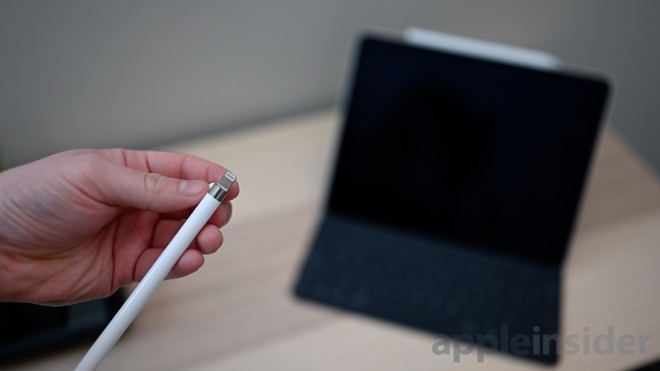 Rather, it is placed along the long edge of the iPad to charge inductively and held in place via magnets — of which the new iPads have many. 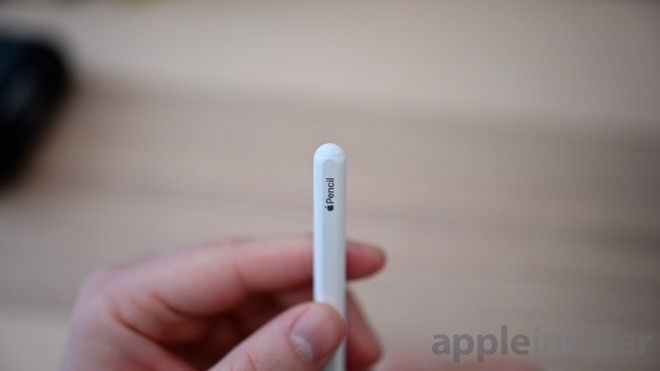 One side of the Apple Pencil is completely flat, which — if placed correctly — will stop it from rolling away. 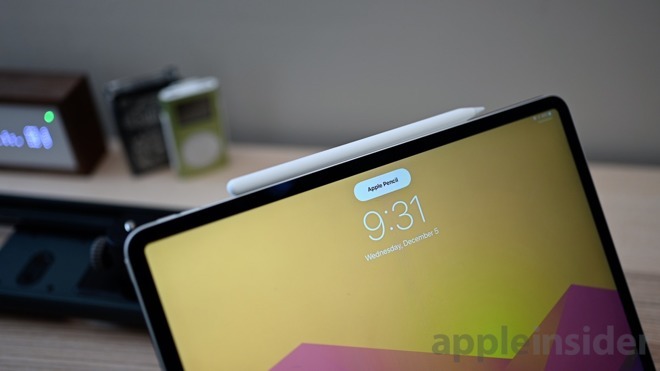 Unfortunately, this surface is still very shallow so if it starts rolling from being placed on another side, it won't likely stop it from escaping over the edge of your desk. 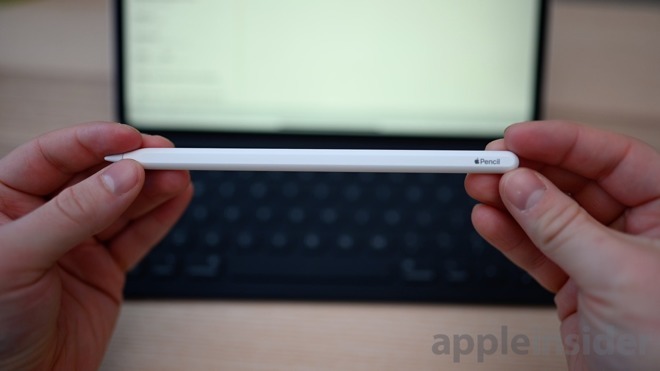 This flat surface can be custom engraved at checkout, a nice perk when ordering directly from Apple. That doesn't mean that non-artists should stay away. 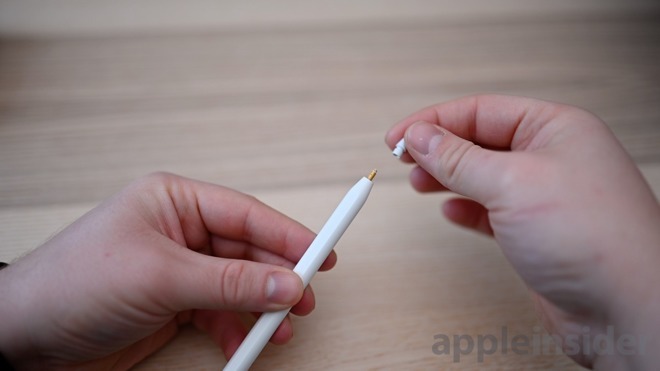 The inverse is actually quite true —we've found a cacophony of use cases for the Apple Pencil. Durability is also a bit questionable. 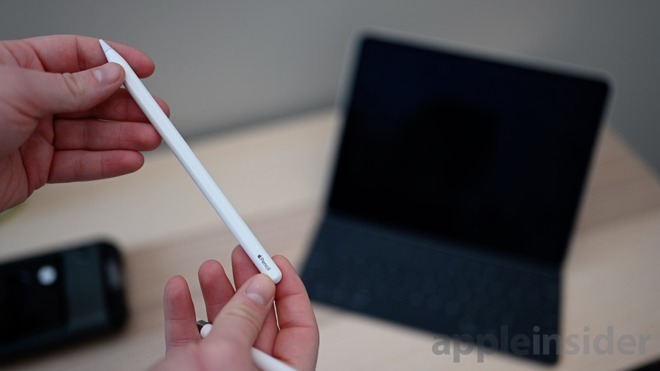 Weeks in and our Apple Pencil and iPad are already showing signs of wear. 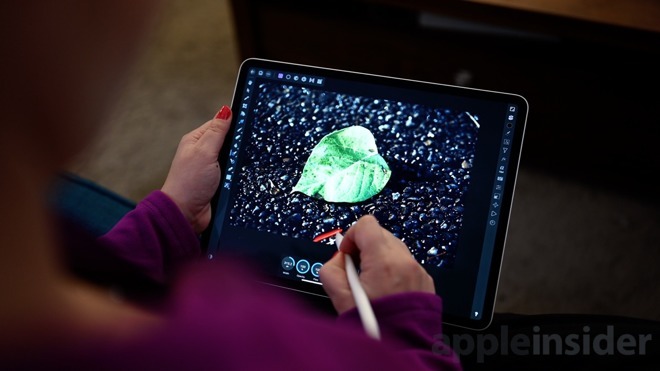 The metal sides of the iPad that make contact with the Pencil — on either side of the plastic plate — show small wear marks that likely will increase with use.